ZTE Corporation, a major international provider of telecommunications, enterprise and consumer technology solutions for the Mobile Internet, today launched ZXHN F2867S, a super gigabit home gateway that supports the AX6000 (802.11ax dual-band Wi-Fi) technology. It perfectly meets users’ requirements for ultra-fast access storage in FTTH and FTTO scenarios. AX6000 Wi-Fi can cover a wide range of home devices because it is compatible with standards, such as Wi-Fi 4 (802.11n) and Wi-Fi 5 (802.11ac). In addition to providing super gigabit access through an XGS-PON interface, ZXHN F2867S can also support technologies, such as AX6000 Wi-Fi, 4×4 [email protected] and 4×4 [email protected] DBDC, delivering Wi-Fi speeds of up to 6 Gbps. ZXHN F2867S supports a USB 3.0 interface with transmission rates ten times of those of an USB 2.0 port. Users can share files by connecting to a USB storage device and receive LTE backup access by plugging an LTE dongle. Moreover, ZXHN F2867S supports the beamforming technology, which largely improves the transmission performance and enables ZXHN F2867S to offer more stable, more precise coverage. 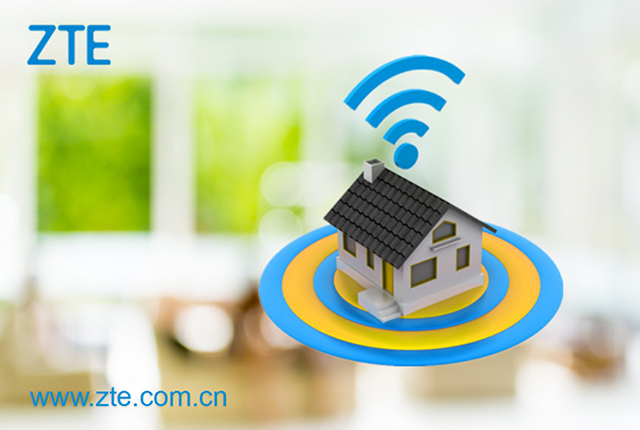 ZTE’s home gateway products are widely used across the globe. According to a Q3 2018 report released by the research firm IHS, ZTE ranks No. 2 worldwide and No. 1 in Asia Pacific in terms of the market share of CPE devices.